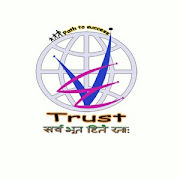 VikramShila Educational And Welfare Trust: (A) To setup Educational Institute for Basic, professional and technical courses. (A) To setup Educational Institute for Basic, professional and technical courses. To promote Education for all, irrespective of cast creed and colour, rich or poor. To Impart the great social and moral values and inculcate rich ancient Indian culture. To Impart functional literacy to make self –dependent with the concept of “earning while learning”. To start short and long term residential courses to refresh and up date with latest development. To start adult education through distance learning and generate employment to eradicate poverty.